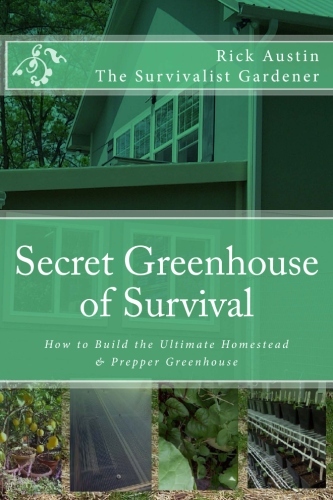 Here are some customer questions, answers, suggestions and tips, for our Secret Garden of Survival readers. Do you know a good book to determine companion planting in SC? I didn't see any ideas of plants to put together in your secret garden book. 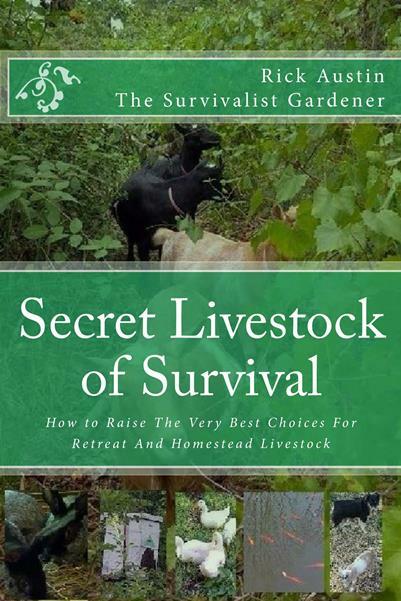 Relative to your question, take a look at pages 30-34 in my Secret Garden of Survival book. That section talks about general plants that you can use in each layer of the guilds... Ie: starting with the fruit or nut tree, expand out with shrubs in the shrub layer, the herbs in the herb layer and then your ground covers. In terms of specific plants for your specific area, you should find a local nursery that understands permaculture, and that won't give you a blank stare, when you talk about symbiotic relationships and companion planting... you can use the category of plants (ie: fruit tree, nut tree, shrubs, herbs and ground covers) to determine what to put where in each guild, but you just need the nursery's advice on the specific species that will grow best in your area and what is indigenous to your area, so that the plants can handle your specific pests, blights, high and low temps, rainfall, etc. For fruit trees in the SC area, you should be looking at apples, peaches (and others in the peach family like plums, nectarines, apricots), pears and Asian Pears- these will grow in your area, just make sure that you can purchase those that are indigenous to your region. (Don't buy them at the big box stores because many of those trees will have traveled 1500 miles to get to SC.) There are others that may also grow in your area- like figs and persimmons- but check with your local resource. Shrubs- there are different varieties of blueberries that grow all over the world, so look for varieties of blueberries that grow best in your region- (Prime and Rabbit Eye may do best in SC) but again, ask your local nursery for what does best in your area; Likewise with elderberries, blackberries, raspberries, and other fruiting shrubs for your area. Herbs- look for all the cooking and medicinal herbs- the list is on page 33 of the Secret Garden of Survival book. Ground cover can be edible, like mustard greens, peanuts, clover, alfalfa, dandelion and plantain- and these are also nitrogen fixers so they add nitrogen back to the soil and are nature’s natural fertilizer for your other guild plants. 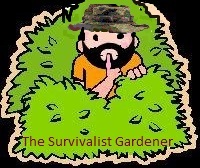 Take a look at my Secret Garden Of Survival on my YouTube channel... there are over 150 videos there of the garden at various times of the year and in various stages of growth and production...Many of the videos mention companion plants too. Question: What happens when we can’t start off with a clean slate? I’ve lived on this land off and on for almost fifty years. No mountains around here! I’ve got plenty of established trees; do I just try to find some open to the sun on the south (not many) and plant in a semicircle under them? And most of my fruit trees are by the road! No disguising them! Yes- you can plant guild plants (edible berry shrubs, herbs, ground cover, vines (grapes) around already established trees. They will all do better that way. You don't have to have downhill terraces on the south side of a hill to make it all work. But you can do fish scale swales around these guilds to collect more water for your plants. Also- doing this along a road WILL help to disguise your existing fruit trees, because once things like vines wrap around your trees and blackberries grow up over a season they will begin to envelope the landscape and your fruit trees will look less like a working orchard and more like a "no longer tended" group of trees that are converting back into forest. It will look more natural, will produce 5x more food for you in the same space, and will make you less of a target for hungry passers-by. Depending upon where you live, and what kind of trees you have, south facing property isn't always the best place for your fruit trees. For example: some northern apple trees need a certain amount of "chill hours" (under 45 degrees) each year before they will bloom and set fruit. If you are in the mid-Atlantic and you plant northern trees in full southern sun, you may never get enough chill hours. You can still plant guilds around fruit and nut trees where ever they are. It is just that you will get a longer growing season and produce more and bigger fruit if you get more sun throughout the season by having them planted a southern exposure. Do you have any recommendations for the remainder branches/limbs that I have from my property that i can't use in my swales and such? I was considering chipping the remainder, and then trying to utilize those in some compost or something, or maybe to use as filler for the cut out portion of the swale to retain water, like a mulch of some sort. However, if I just decide to use them in the soil, decomposing, do you know of an additive that would help make it more nutritious or just help it break down more quickly? Or maybe instead just burn them and use the ash? Just trying to figure out Pro's and Con's of how to use the items on my land...for the health of my food forest. You can use branches, cuttings, prunings, etc. by just letting them decompose on the ground. Or, as you suggested, you can use a wood chipper to create mulch, which will break down faster and which will spread easier, and over a wider area. I would not add anything to make them break down faster...let nature do it. Don't burn them either...you have valuable nutrients in the wood, and using that as mulch will help you a lot. I hate to see people burn leaves, limbs, etc. Not only are those people polluting the air, but they are wasting valuable mulch that could be put to good use as ground cover and decomposing nutrients for their food forest. There was really great information in your book. Now for the questions. You mentioned raising ducks. This interests us greatly because we are not allowed to have chickens where we live but we live near a lake and if we had ducks, no one would know the difference. All the duck raising sites on the web talk about using pellets and duck feed. In a TEOTWAWKI situation, there would be no duck feed. Is there a way to grow enough food in our food forest and what would we grow to feed our ducks throughout the year? Thanks for your kind words on the book- I always hope people will get worthwhile information out of it. We own ducks because they are less susceptible to diseases than chickens, don't scratch (dig up plant roots) like chickens, ducks give bigger eggs and we let them loose in the garden to eat bugs and slugs. The ducks eliminate a lot of garden pests, turn those pests into protein (meat and eggs) for me, and they deposit natural fertilizer as they go. Ducks are pretty self -sustaining, so once they are used to being in your garden, you don't really need store bought pellets. I give them food and water when they come into the barn for protection each night, but once they are full grown, they get most of their food from the garden. Just keep them out of certain garden areas when you have young seedling annuals getting started, as ducks like young tender greens and they like strawberries too. Pekin ducks are a good meat duck. Khaki Campbells are the best egg layers- 320 eggs per duck/year. We have clover and certain grasses (i.e. oat grass that we can feed our livestock, and that produces food -oats - for us) in the garden. The ducks will eat this stuff, and "cruise the garden" for bugs and slugs. We only keep them out of the strawberry areas when the strawberries are in season- although if they ate some of the strawberries- I would not be too concerned- we have plenty and the ducks are ultimately only creating protein (eggs and meat) for my family. I also keep them out of areas where I planted vegetable (annual) seedlings, until the plants get big enough so that they won't be affected by a duck munching a leaf or two. 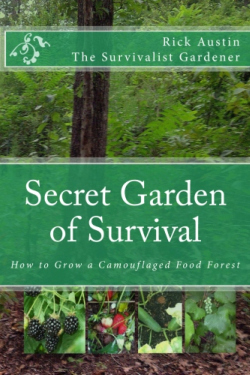 I just finished you Secret Garden of Survival and enjoyed it very much particularly the details about guilds and many plants that are appropriate for them. I got the impression from the pictures and types of plants that many are appropriate for temperate (northern) climates. I noticed in your introduction that you have spent many years in Florida as well as New England and as I will be retiring to Florida next year I was hoping you would have commented in your book on plantings appropriate for southern climates. Can you make a few comments on guild elements/plants that would do well in Florida, or direct me to a book or resource that might have that information. Thank you again for all the information about permaculture/survival gardening. Thanks for your comments and kind words Richard! The Secret Garden of Survival principle of planting in guilds is the same everywhere…it is just that the native plants are different in different regions…so in the Northeast, your central guild fruit trees would be apples and pears…in Florida-(subtropics)the fruit trees would be citrus- oranges, lemons, grapefruit, limes, etc. Many of the same fruits and berries grow in Florida that grow in other areas of the country- i.e. strawberries, blackberries, etc. - but these come into season at a different times of year than other parts of the country. Ask your local (Florida) cooperative extension office for specifics. You can also see numerous charts in the text Gaia’s Garden…it has numerous interrelationships of various plants in different parts of the country/ USDA zones. Eventually we will provide such information on our website – by region…but it is far too much to put in a book, as the pages would easily double, and we wanted to keep it simple for people to get started. Hey Rick, This is Jim from TN. 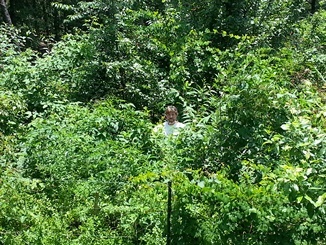 My wife and I were at the Gastonia Preppers Conference last month and heard you describe your camouflaged garden. We are inspired to follow suit and plant one ourselves. Got the highlift coming next week. We bought and read your book and have one question that I could not find the answer to. In planting the guilds-especially the center tree (fruit or nut), do you place it on the swale/berm sections or randomly cover the ground to include your steep transition areas as well? Following the swales would put your guilds in a line and draw attention to the symmetry, but not following the swales would prevent your trees from having the best soil/water access. Does it matter? Thanks in advance for your time and attention. The answer is that I have done it both ways...it depends on a where the central guild trees are in relation to the sides of the garden (shade from exiting border trees), how steep the sloped sections are, and how close you are planting to central guild trees in the surrounding guilds. The best rule of thumb is to make sure there is adequate space for the trees to grow to maturity, as well as all those other plants in the guild. Sometimes the only way you can do that (leave enough space) is to plant some of your central trees on the downhill slopes. For the trees that we put on our slopes, we use a mini- terrace/berm in front of the tree to help water that is running downhill to seep into the ground around the tree. Then we plant our other guild trees accordingly. Enjoyed meeting you, and hearing your presentation at Donna Millers Meetup group. I also appreciate the deal you offered us on your book. I have one in my personal library, and one in my lending library. I have started implementing your gardening style at our retreat here. A question: Are you familiar with Mittleider gardening? If so, what is your opinion of this style of gardening? Thanks for your time! Thanks for buying the books and I am glad you are taking the next step by implementing the Secret Garden of Survival at your retreat. In reference to your question about my opinion to Mittleider gardening: There are a lot of reasons I would not do it. First, it is not sustainable. You basically are using an artificial medium to grow your plants in and you have to add nutrients and fertilizer every week. Second, it is a lot of work to build these beds, add these materials, and water and add nutrients on a continual basis. Third, the costs for materials, is considerably more than just the costs for you plants. Like raised beds, you have to create an area in which to house the plants and you have to use lumber or other materials to create this artificial environment. Creating these beds mean that you have to create paths along-side them in which to access all four sides of the beds, which means that you have to have aisles of at least 3’ in width around the entire perimeter of each bed to walk in. This is a considerable amount of square footage that you cannot plant in. You are also planting in rows, which for all the reasons I mention in my book, is a bad thing. You are so much better off (in every way), just planting your annuals in among your perennial food forest guilds. The annuals will not be planted in rows, and you don’t have to do anything special to create the garden other than planting your seedlings in the guilds. And the guilds provide natural protection for the annuals from pests, as well as natural nutrients and "fertilizer" from the rest of the plants in the garden. And- its sustainable, and free. This website and all it's contents are Copyright (C) 2012-2017, Rick Austin, All Rights Reserved.